Like other titanium metal products, titanium wire offers high strength, long lasting durability and high corrosion and wear and tear resistance. In automotive, medial and aerospace industries, titanium is used for applications requiring stable and non-reactive materials. As a naturally ductile metal, titanium is also low-fracture and can therefore be formed and stretched into wire of thin diameters. As pure titanium does not occur naturally, the forms of titanium used by manufacturers are different titanium alloys. Other metal components are added to titanium to improve its malleability and therefore range of use. Alloys will differ in terms of composition and physical properties and therefore will be more suited to specific applications. 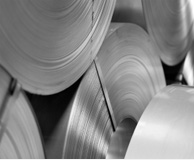 Titanium grades are used to classify alloys according to an established and regulated system. These grades can then be used by manufacturers to determine the most suitable alloy for their needs and can be considered in terms of dimensions, production processes and performance features. Being a fairly low conductor of electricity, titanium wire is also well suited for low-conductive purposes such as semi-conductor manufacturing or use in chemical industries. Common uses for titanium wire include in medical applications such as pacemakers or bone splints, in aircraft and automotive springs, fuel filtration systems, corrosion resistant support rods, brushes and filters. It has far higher strength to weight ratios than most other metals and therefore even thin titanium wire is able to be employed in heavy duty or heavy load applications. Titanium wire is typically supplied as either straight lengths, spools or coils and can vary in terms of diameter, strength and composition. Other applications for titanium wire and wire cloth include aircraft and automotive springs, fuel filtration in satellites, brushes for cleaning heat exchangers and many other applications which require strength and low density. However, processing titanium can be a costly and time consuming process. It has to be extracted from mineral deposits, converted into a porous sponge using magnesium and then melted into bars, plates or sheets for secondary fabrications. The higher cost of titanium refining and fabrication is far outweighed by the metal’s broad and crucial spectrum of usefulness. Titanium wire may also be called fastener wire, spring wire, weld wire and medical wire depending on its intended application and the process of softening titanium into these wires is known as annealing. Titanium Wire Titanium wire is drawn or rolled from titanium bars into different diameters and dimensions for a wide range of precision applications.